Austrian poet and playwright Ernst Jandl died in 2000, leaving behind his partner, poet Friederike Mayröcker—and bringing to an end a half century of shared life, and shared literary work. Mayröcker immediately began attempting to come to terms with his death in the way that poets struggling with loss have done for millennia: by writing. ​Requiem for Ernst Jandl is the powerfully moving outcome. 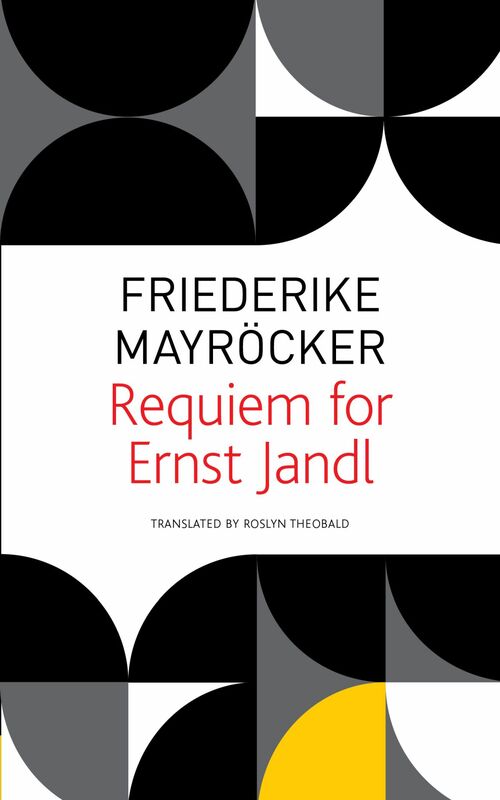 In this quiet but passionate lament that grows into a song of enthralling intensity, Mayröcker recalls memories and shared experiences, and—with the sudden, piercing perception of regrets that often accompany grief—reads Jandl’s works in a new light. Alarmed by a sudden, existential emptiness, she reflects on the future, and the possibility of going on with her life and work in the absence of the person who, as we see in this elegy, was a constant conversational and creative partner. "A magnificent translation. . . [Theobald] gives us an autofictional masterpiece of raw emotion, that will resonate with anyone who has ever given thought to how quickly life passes. . . . A web of associations and recollections, Requiem for Ernst Jandl is full of references to both the dead and the living, to literary theorists and to poets, to friends with their advice for the bereaved, and to places both real and dreamed up – and most of all, to Jandl himself. Through the powerful immediacy of her at times heart-wrenching language, Mayröcker proves that grief does not have to be private and can acquire a dignity that triumphs over any worry about decency."